CTB is the Nelson-Rigg Classic Series. 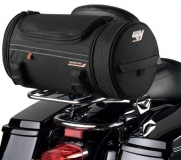 Finest motorcycle luggage in various shapes. In bad weather conditions it has to be used with a rain cover. Outer rain cover is included with all CTB Series products.